The dotdigital add-on lets you push new contacts using an action, pull contact data into WordPress using the WS Form PRO autocomplete feature, and create new forms from your lists in a single click on the add form page. The dotdigital add-on requires WS Form PRO. Tip: If you require a dotdigital account you can learn more here. Westguard Email is our very own edition of dotdigital. The dotdigital plugin is installed in the same way as installing the WS Form PRO plugin. Once installed you will need to activate the license for the plugin. When you purchase the dotdigital plugin, you will be given a license key. If you have lost your license key(s), click here. 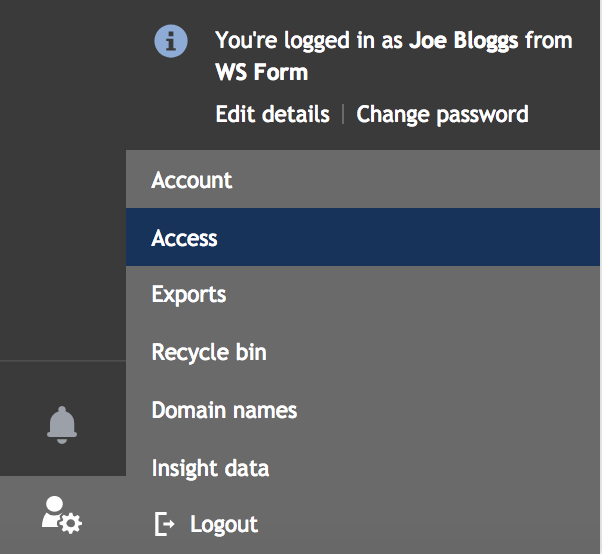 Click ‘WS Form’ in the WordPress administration menu. Click the ‘dotdigital’ tab at the top of the page. If your license key fails to activate, please ensure you are using the correct license key and not your WS Form PRO license key. In order to use the add-on, you need to obtain an API email and password from dotdigital. It’s a simple process. Click on the ‘User Settings’ icon on the bottom right of the screen and then click ‘Access’. 2. Click on the ‘API Users’ tab and click ‘New User’. 3. Click ‘Create A Key’. 4. You will be provided with an API email. Enter a password and then click ‘Save’. 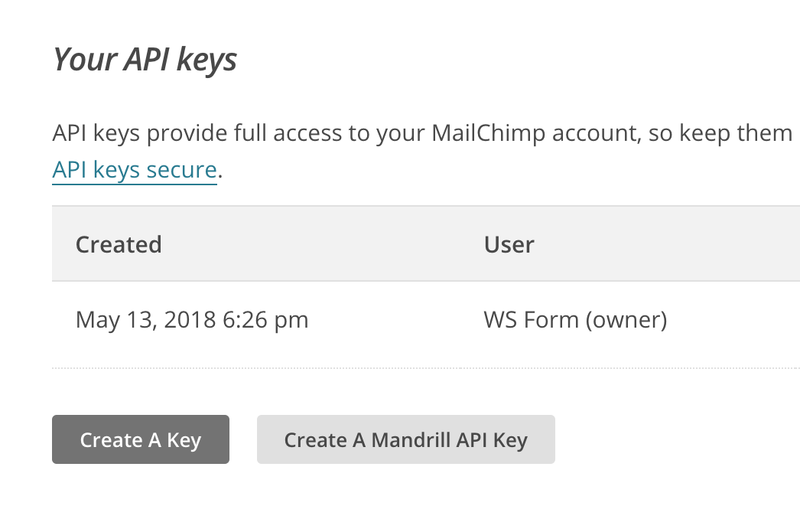 Enter your API email and password. WS Form can create a form for any of our dotdigital lists in a single click. This process not only creates a form but also fully configures WS Form so that the form is ready to use immediately. Select the ‘dotdigital’ tab at the top of the page. Click on any of your dotdigital lists to create a form. Wait a few moments while the form is created. That’s it! Your form will be created and is ready to add to your website. If your list does not appear, click the refresh icon in the ‘dotdigital’ tab. It is also possible to use any form created in WS Form and add an action so that it is submitted to dotdigital when a user saves or submits their form. When editing your form, click the ‘Actions’ icon at the top of the page. The ‘Actions’ sidebar will open on the right-hand side of the page. Click the ‘Add’ icon to add a new action. Select ‘Add to a dotdigital List’ from the Action pulldown. A series of settings will appear. As with all sidebars in WS Form, click the ‘Save’ button at the bottom to save your changes, or click ‘Cancel’ to disregard your changes. When Should This Action Run? You can choose to run the dotdigital action when the form is saved, submitted, or both. Choose the dotdigital Address Book you would like contacts to be added to. If you have created a new address book since viewing this screen, you can click the refresh icon to retrieve the new list. Select the email type you would like to sign up contacts for. We recommend leaving this as ‘HTML’..
Use this setting to select which of your fields to act as the opt-in field. We recommend adding a checkbox field with a single checkbox. It is always recommended that you have an unchecked opt-in checkbox on your forms to ensure you comply with GDPR requirements. Field mapping tells WS Form which of your form fields relate to the corresponding fields in dotdigital. For example you would want to map your Email field to the Email field in dotdigital. Click the ‘Add’ icon at the bottom right of the field mapping section. In the left-hand column, select your form field. In the right-hand column, select the corresponding dotdigital field. Repeat this process for each field on your form. Click the ‘Save’ button at the bottom of the sidebar to save your changes. As well as pushing form data with this add-on, you can also retrieve contact data and populate the fields on your form. This feature is only available if a website visitor is signed in and their WordPress email address matches the email address of a contact in dotdigital. Click the form settings icon in the top toolbar when editing a form. Click the ‘Auto Populate’ tab in the sidebar on the right. Enable the ‘Populate Using Action’ setting. Choose ‘dotdigital’ from the ‘Action To Populate From’ pull down. Select the list you wish to populate data from in the ‘List To Populate From’ pull-down menu. Map the dotdigital fields to your form fields. Click ‘Save’ at the bottom. Note that if you created your form using a dotdigital template the field mappings will automatically be created for you.